Here’s some info and data regarding the different type of wheels fitted to the 360 tipo. First of all I’d like to mention that the weight of the wheel should be a major consideration when choosing a a set of rims. Reducing rotating unsprung mass will help improve the handling and performance of the car. 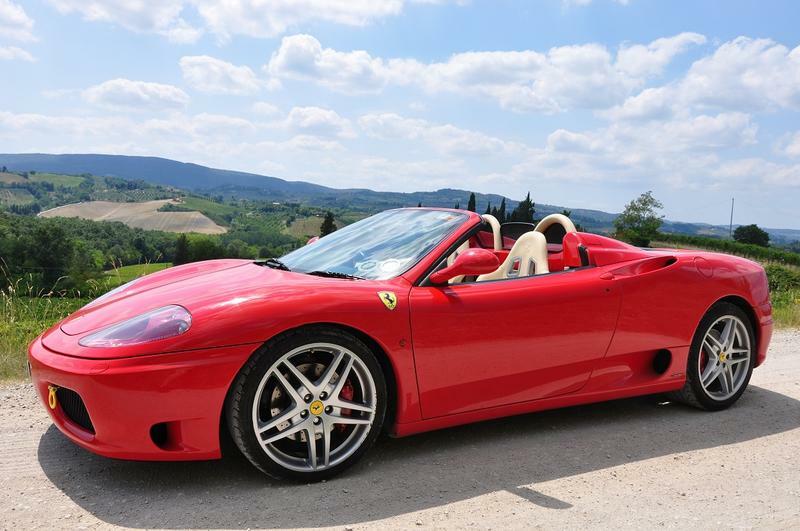 Adding weight (most typically done by fitting aftermarket wheels) can seriously impair performance – don’t forget that Ferrari spent a lot of time optimising the suspension system for this car. Furthermore, I have seen reports out of workshops in the USA (where the fitment of aftermarket wheels is more prevalent) that an increase in rear tyre width has been blamed for gearbox damage. Also, don’t forget that the ABS & ASR system relies on the ratio between front and rear tyre diameters being in a certain threshold so messing with tyre sizes and profiles can also be hazardous. The 360 came fitted with 18″ “Starfish” wheels as standard. These weigh in at 9.7kg each at the front and 11.4kg at the rear. 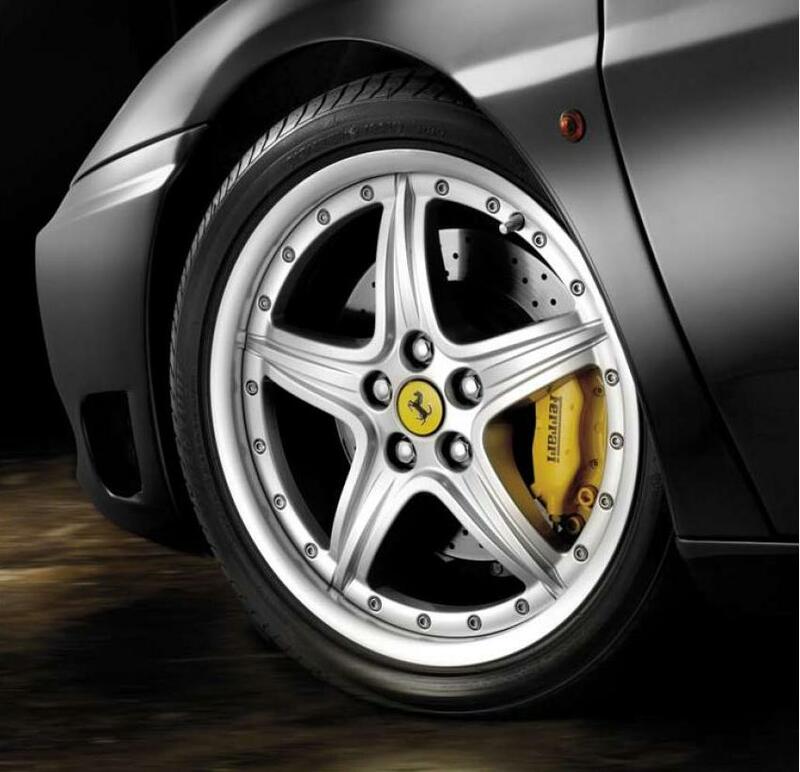 The wheels are made from a special aluminium alloy which means that despite their bulk they are a lightweight rim. 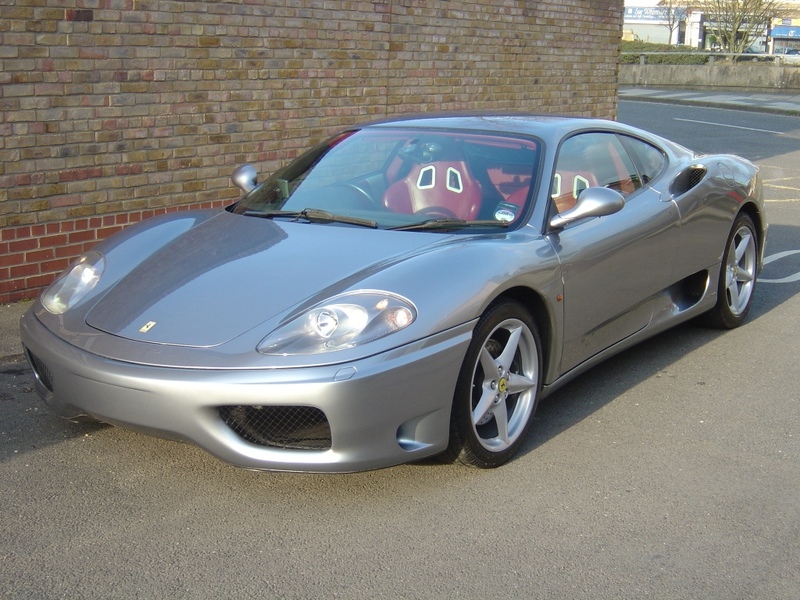 I’m quite fond of how these look on a stock 360 Modena – here’s a picture of my old Modena with them fitted. There was the option of ordering 18″ modular wheels – code RIM1 – for an additional cost of £1,620. These wheels weigh in at 11.5kg (front) and 13.3kg (rear). I’m not a fan of how they look and the penalty of adding 7.5kg would be too much for me. The wheels are made from an aluminium alloy. 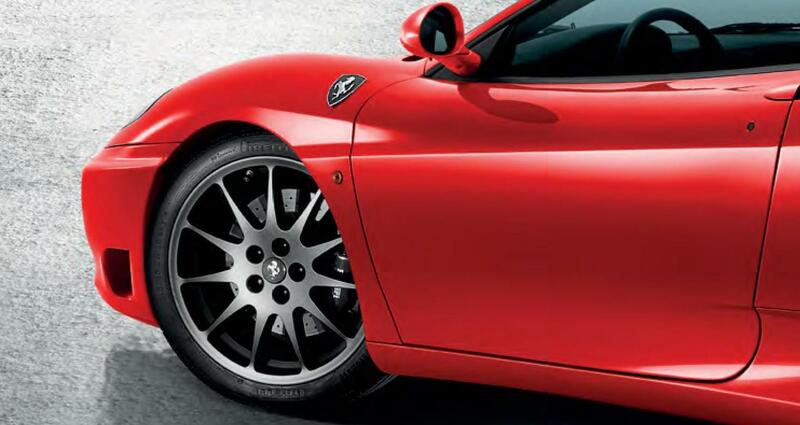 Ferrari also released a new set of 18″ wheels for the 360 in 2011 (see picture below). I don’t have any data for these and have never seen them in real life. However, I quite like the look of them but the price of nearly £3,000 for a set would put me off! The only downside to 18″ wheels is that you cannot increase the size of the brakes. If you want to get bigger brakes then you’ll need 19″ rims. 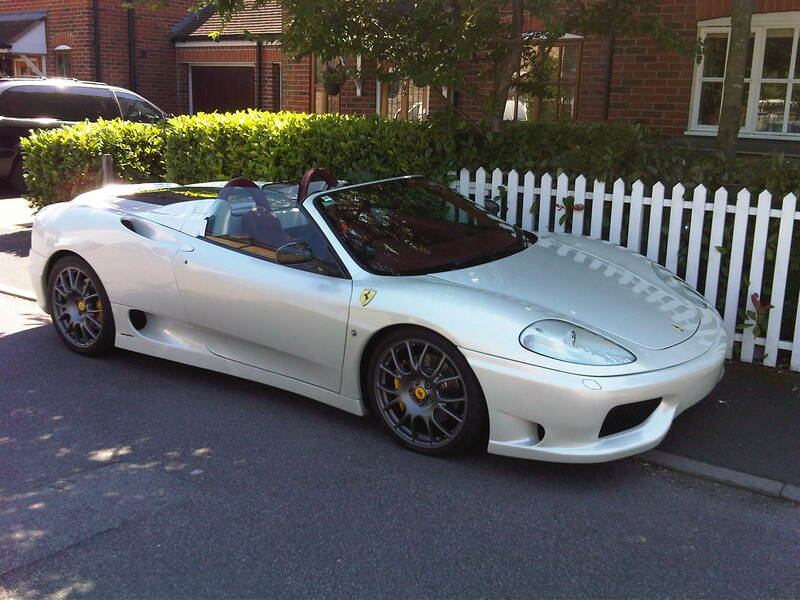 The first option is to get a set from an F430. These weigh in at 11.8kg (front) and 13.5kg (rear). 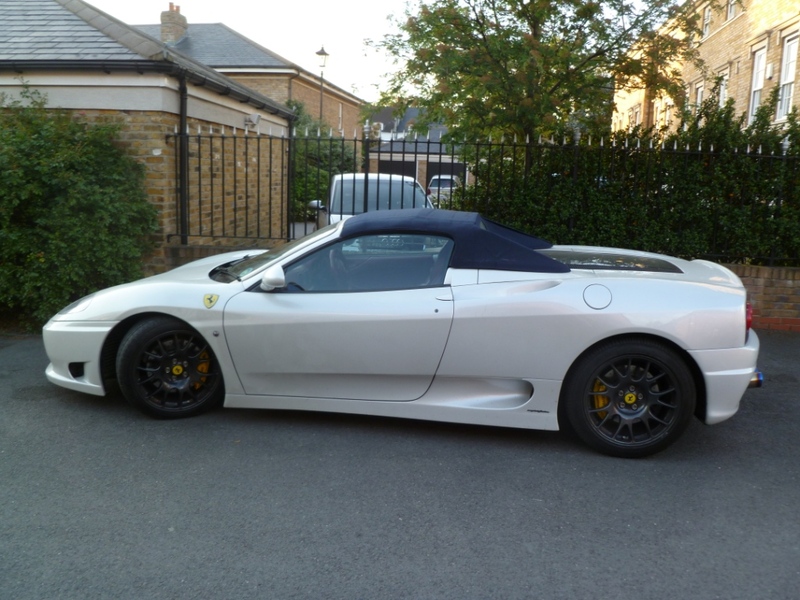 There are lots of sets around on the second hand market so prices are keen, the only downside is that it makes your car look like an F430 although proponents would say it updates the look of the car! I believe that 18″ tyres are better for UK roads than 19″ ones. Although the thinner sidewall of the 19″ tyre gives marginally better cornering, the greater sidewall of the 18″ provides much better comfort over our poor road surfaces. The downside to using 18″ tyres is that the selection of suppliers is limited to old technology. Running 19″ tyres opens up a lot more options such as the Pirelli Corsa (as fitted to the Stradale) and the excellent Michelin Pilot Super Sport (see my review of the launch here: Link). Whilst we’re on the topic of wheel bolts, I’d like to mention that I do not like to put any grease or copper ease on the threads. 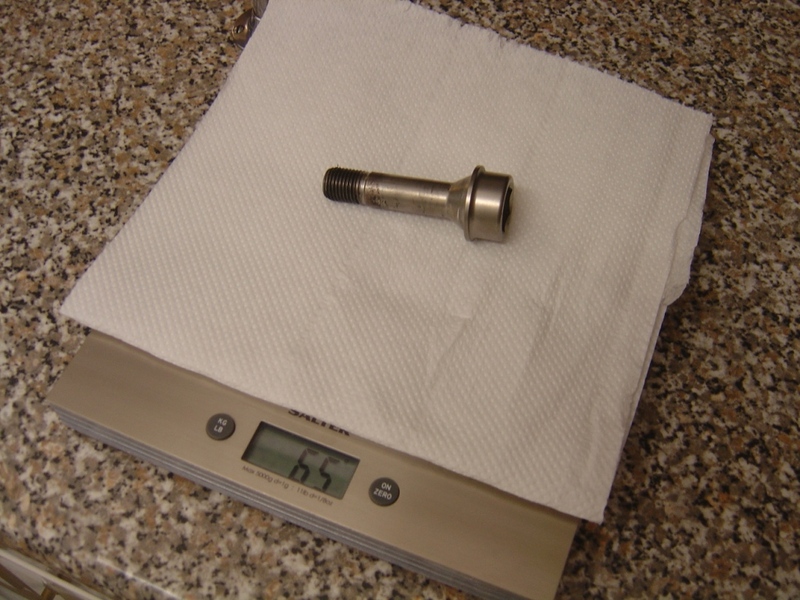 The reason is that lubrication on the threads can increase the likelihood of over tightening and stretching the bolt (more of a risk with Titanium which has lower Young’s Modulus than steel). Finally I would urge you to check the torque of your wheel bolts regularly – Ferrari specify a tightening torque of 98nm (pre-tighten to 40nm first). I have seen wheels come off cars (including Ferraris) on track in the past and it is for this reason that I carry a torque wrench in the front boot of my car. I check the torque of my bolts prior to any spirited drive and when on track I check every time I pull into the pits to cool off. The lightest option if you don’t mind to use wider tyres and can handle the price is the BBS FI Ferrari wheel, 19×11.25 and 19×8.75, 9.2kg and 7.9kg. The set is -30lbs compared to the CS 19″ (which are old BBS CH wheels)! Thanks for posting the info up. Notices the front rims from year 99 are at 9.4kg because of different shape at the inside. Later versions are reinforced at the inside and are at 9.7kg as you mentioned. Just to take care when replacing.